Victoria peak is one of the best places to visit in Hongkong. It is the most favourite by tourists among Hongkong attractions. Also known as Mt. Austin, it is located in Hongkong Island. 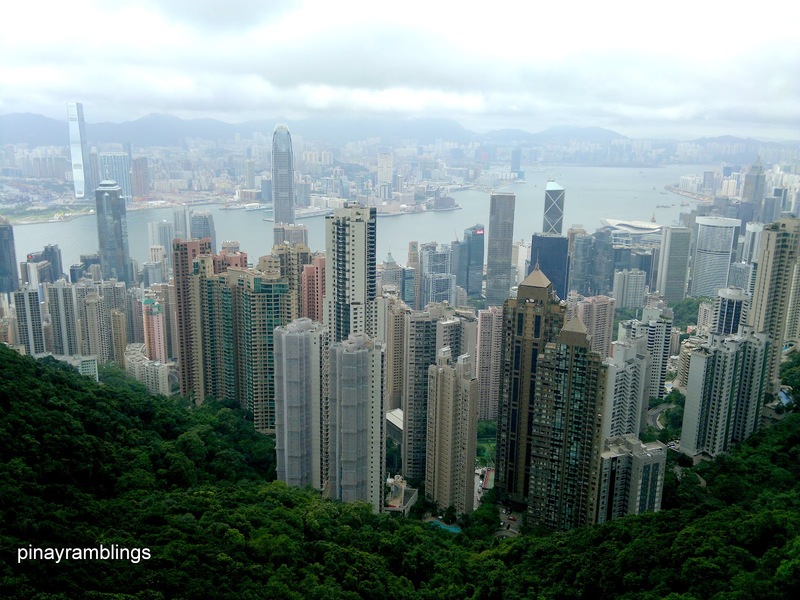 It is not the highest mountain in Hongkong but it offers stunning views over Central, Victoria Harbour, and other islands. 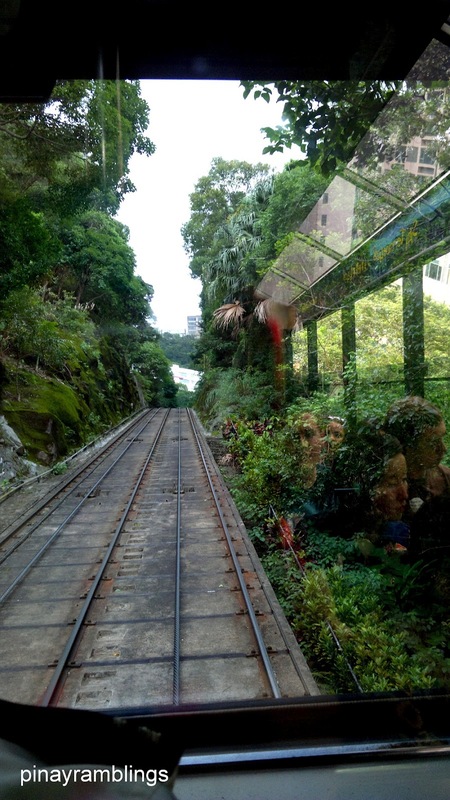 Although it is accessible by private car or taxi via the circuitous Peak Road, most tourists prefer the peak tram. A trip to Hongkong is not complete without taking the peak tram. From the MTR central station, we walked a few blocks to the Peak Tram terminal. Get ready to fall in line and fight the crowd! It gets pretty crowded and if you happen to be there in the middle of the day, expect to sweat like crazy! You will have to stand in line for maybe 30-45 mins before u get to board the tram. 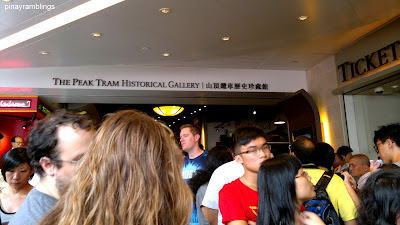 It is possible not to get an available seat inside the Tram (the tourists go crazy and push around to get a seat), you'll have to stand the rest of the time till you reach Victoria Peak. 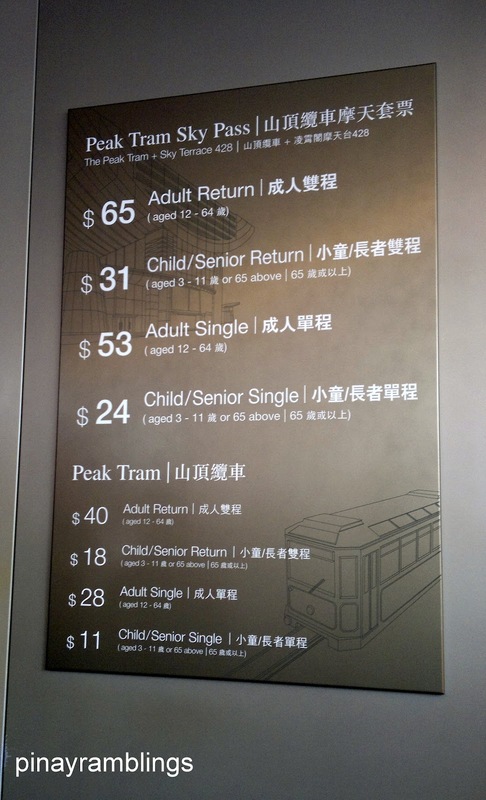 A roundtrip Peak Tram ticket costs HK$40 (US$5.33) for adult, HK$18 (US$2.40) for child/senior citizen. If you want to enter their Sky Terrace, you should avail of their package Peak Tram (roundtrip) + Sky Terrace Pass that is worth HK$65 (US$8.65) for adult and HK$31 (US$4.10) for child/senior citizens. Yayy the Tram is here! There are lots of souvenir shops and restaurants inside the tower such as Bubba Gump, Vietnamese restaurant, coffee shops, and etc. You have tons of choices. However, most of the restaurants here are expensive---around HK$300+ (US$40) per meal/person. If you are on a tight budget, there is Burger King inside (it is more expensive than your regular Burger King but remember you are in Hongkong). Wow, amazing, loving the photos and what a view.